Some millionaires reach seven figures through hustling and penny pinching. Others just get lucky. 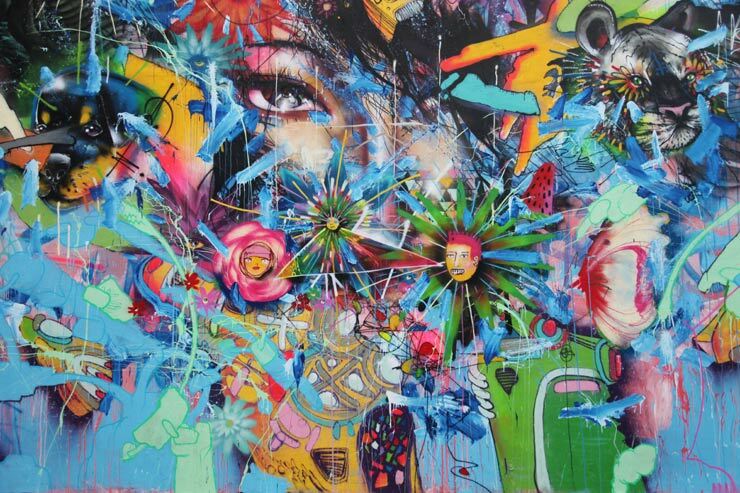 Graffiti artist David Choe knows the second scenario well. As featured on a recent episode of CNBC’s “The Filthy Rich Guide,” in the early 2000s, Choe’s work caught the eye of Sean Parker, founder of Napster. In 2005, after Parker became president of then-fledgling start-up Facebook, he hired Choe to deck out its original headquarters in Silicon Valley with murals. Though Choe despised social media’s early iterations like MySpace and called Facebook a “ridiculous” idea, according to “The Filthy Rich Guide,” he agreed to paint the building for a hefty sum: $60,000. “My prices had been going higher and higher and I was like, ‘Yeah, I mean, if you want me to paint the entire building, it’s going to be 60, you know, 60 grand,'” Choe told Howard Stern. Parker offered him a choice between cash and company stock, but advised him to take the stock. It was a risky decision. As Choe told Stern, at that time “Facebook was a joke.” There was no guarantee that the business would amount to anything and his shares could wind up worthless. The windfall afforded Choe more than a little spending money. He used it in unique ways. For example, in 2014, Choe found $100,000 laying around in a shoebox in his room. He decided to give it away via an elaborate, nationwide scavenger hunt, according to “The Filthy Rich Guide.” In addition to the cash, the prize included a flight to L.A. to claim the money and a custom painting from Choe himself. Earlier this year, Choe debuted an invite-only exhibit in Los Angeles, dubbed “The Choe Show.” Though the show was free, participants had to go through an extensive application process and be chosen to attend. They also had to sign a confidentiality agreement, keeping the contents of the exhibit a mystery to the public. Choe and his work have also been the subject of controversy. In June, a newly finished mural by Choe in New York City’s Bowery neighborhood was almost immediately tagged over, reportedly as protest against his alleged history of sexaul assault. Choe spoke out on the controversy, admitting and apologizing for a complicated past, but saying, “I have ZERO history of sexual assault.” The mural was entirely whitewashed only a few weeks later.